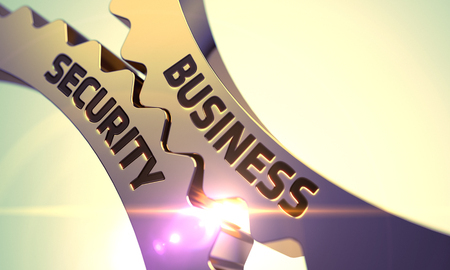 The holiday season is a good time to review security policies and procedures with employees at your business. After all, a “refresher course” helps remind employees what’s expected of them, what’s not expected of them, and who to call should things get out of hand. The holiday season can get busy, with lots of visitors to a business who normally wouldn’t be there– at the holiday party, for instance, friends and relatives show up for their once a year visit. What are the rules for inviting guests to the workplace? What’s the plan for locking up valuables at certain times? If there’s an emergency, such as a fire or bomb threat, how should employees react? Typically, companies have a security action plan in the form of a book. Why not have them re-read it this holiday season and talk about it? Furthermore, what’s the company’s cyber security policy? Oftentimes, employees will be working from home and/or travelling during the holidays, so it’s important for them to know how to handle their computer work properly. Talk about these things during the month of December. At holiday time, check to ensure all your company’s security devices are working well. You can test your alarm system, locks, access control systems, panic buttons, and more. Are surveillance cameras aimed at the right spot and getting the video you need them to get? Make sure holiday decorations aren’t blocking their view. Also, how’s your cyber security software? Is it “turned on” and doing its job? When’s the last time it was updated? FYI: Rather than use public Wi-Fi, you can protect your company’s data using a Virtual Protected Network (VPN). During the holidays, most businesses adjust their working hours. If your business uses a monitoring alarm service, alert them about changes in hours so they’re on the same page. Finally, don’t forget to lock up at holiday time. Sure, it gets “busy” and there are a lot of distractions. But locking up the place is key. If your company uses an access control system, use the holiday break to review codes and to take a look at which employees have access to certain areas. It’s a good idea to take stock of who is allowed where and when, and adjust access privileges as warranted. If you need improving the security system at your business, learn how NYCONN Security Systems can help.